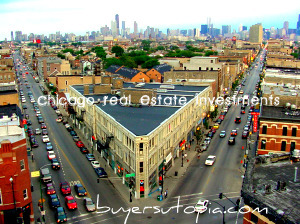 On December 31 2009 Illinois Governor Quinn signed into law amendments to the Real Estate License Act of 2000. The new focus of the amendments was consumer protection and increased professional competence of Real Estate licensees. Moving forward Illinois will have new license classification and education requirements for both new and existing licensees. 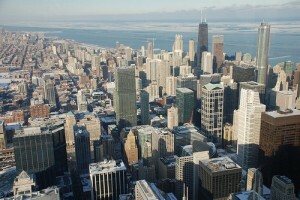 The key date is May 1, 2012, as of that date there will be three classifications of licensure in the State of Illinois. The Illinois Residential Lease Agent, this classification will in essence be the same as the current Illinois Residential Leasing Agent classification. The two classification that do change however are the Illinois Broker classification and the Illinois Managing Broker classification. The new Broker classification is equivalent to the current Illinois Salesperson classification ( pre 2012). This new Illinois Broker classification will become the entry level classification as the Salesperson ( Agent ) classification is being eliminated. This classification change will effect over 60,000 licensed current Real Estate Salesperson’s in Illinois. The third classification will be the Illinois Managing Broker classification which is equivalent to the current Illinois Broker’s classification ( pre 2012) . Confused yet? Simply put, current Illinois Real Estate Agents/Salespersons all must become Brokers, and current Brokers can either maintain that status or opt to be Managing Brokers. Bottom line, besides the confusing classification name change, more importantly the educational requirements will be increased for all Real Estate professionals in Illinois. This is ultimately a very good thing for Illinois consumers. It is anticipated that this amendment to the license act, coupled with the recent recession and bursting of the Real Estate bubble, may dramatically thin the heard of Real Estate Agents that are part time in the business. This should have a positive impact on all the current Real Estate Agents that transition to Brokers and value consumer protection and professional competence. The main change that new and current Illinois agents/salesperson’s must note is the educational requirements will be changing for agents to achieve the new Broker License classification. The pre-license education will increase from 45 to 90 hours. This all kicks in May 1, of 2011. There will also be a post license education of 30 hours upon license renewals. For new managing brokers there will be a requirement of 120 hours of Brokers License plus 45 hours of Managing Broker pre-license education. To obtain a managing Brokers License you will be required to have held a Real Estate licence for two out of previous 3 years. What will the transition entail for existing Illinois Real Estate Salersperon to meet Illinois Real Estate Broker status under the new laws ? First their is NO Sales Person License renewal in April 30, 2011, Salesperson will be grandfathered a one year extension to get their education requirements by April 30, 2012 to obtain their new Real Estate Broker License. Current Real Estate Agents/Salesperson’s must become Brokers and meet all new educational requirements. Their will be proficiency exams to meet the education requirements for agents. The proficiency exam will be more like the existing pre-license exam as opposed to current continuing education exams. This should be a fair exam but tougher than the existing continuing education exams. This will be a 50 question exam that will require a 75% passing score. Existing Illinois Real Estate Agents that pass this transition proficiency exam will meet the updated education requirements to transition to Broker status. It is important to note this is a one attempt exam so Agents must be prepared as you will not be allowed to take the proficiency exam twice. The other option for current Salesperson is to take a 30 credit hour post license transition course. 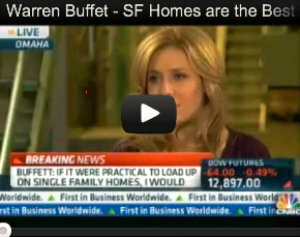 Real Estate schools will be creating the content based on a provide unofficial outline. It is anticipated that this will be split up as 15 credit hours self study and 15 hours classroom or interactive online. A Final Exam will be provided by the Real Estate school in the 30 credit hour post license transition course. Existing Broker licensees are NOT required to transition to a new license as they have already done 120 hours of education and will simply have to renew their license. Existing Broker’s however but must be sponsored by a Managing Broker if they do not transition to Managing Broker status. .
For current Illinois Real Estate Agents who want to learn more about new 100% Commission programs and assiatance in transitioning their license please call 312.433.9300 x 12 to discuss options.